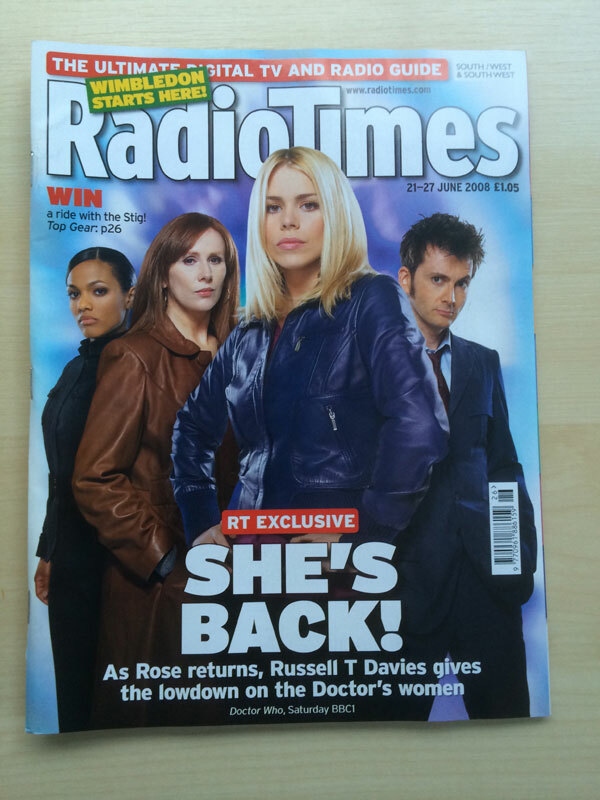 This Radio Times cover from June 2008 featured an RTD article on "The Doctor's Women". 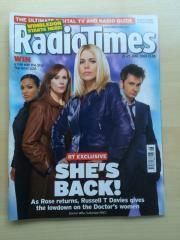 The cover announces (and rather gives away) the return of Rose Tyler. 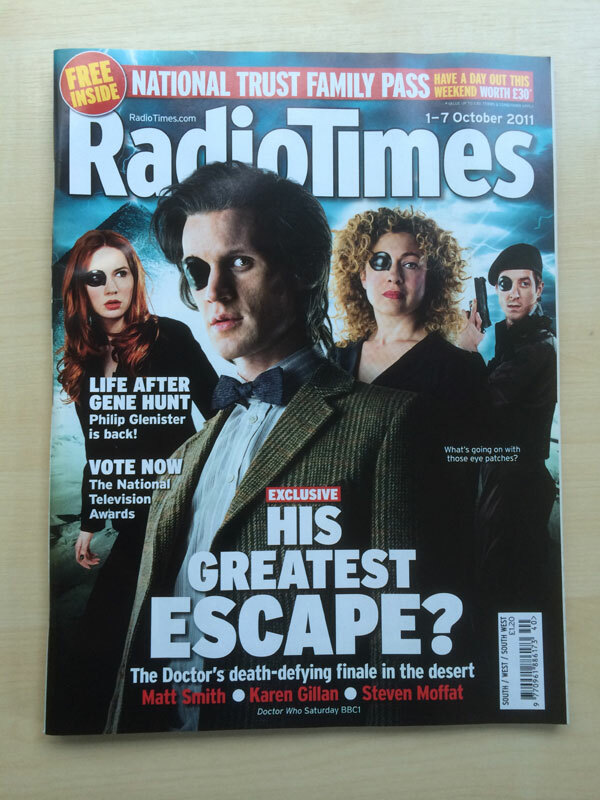 The cover price had also risen by 5p since the previous month. 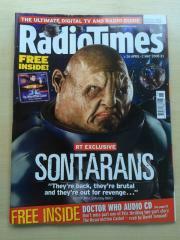 This Radio Times cover from April 2008 featured an exclusive on the return of the Sontarans. The cover described them as "They're back, they're brutal and they're out for revenge..." - the one on the cover certainly looked brutal enough. A Radio Times from October 2011 featuring the series finale of Doctor Who series 6 and the 'Wedding of a River Song'. Did this story feature a wedding? 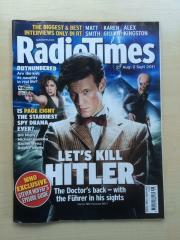 A Radio Times from August 2011 featuring the return of Doctor Who and 'Let's Kill Hitler'. 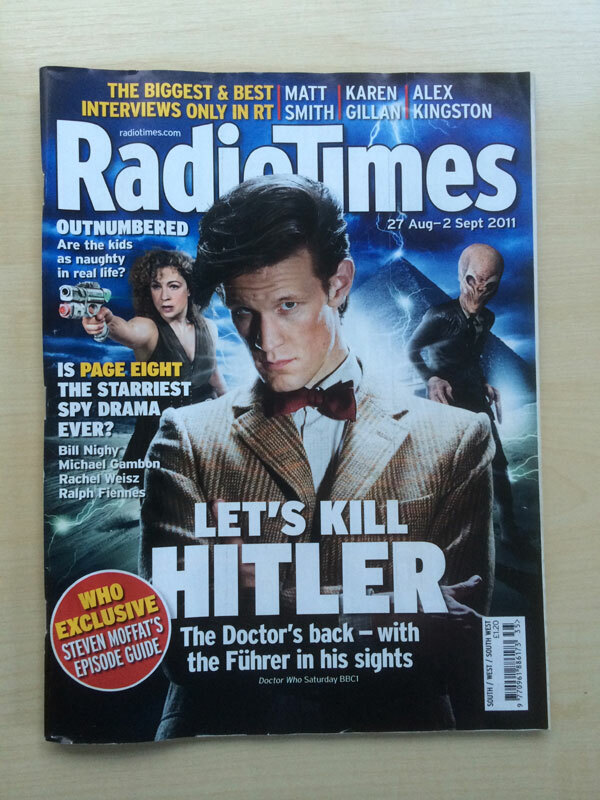 Hitler features very mildly however.